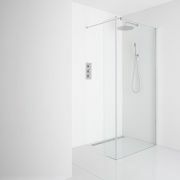 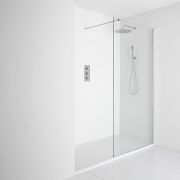 Available in a range of sizes to perfectly suit your bathroom space the Premier Ella pivot shower door features 5mm toughened glass for peace of mind and a satin silver frame finish to blend in with any decor. 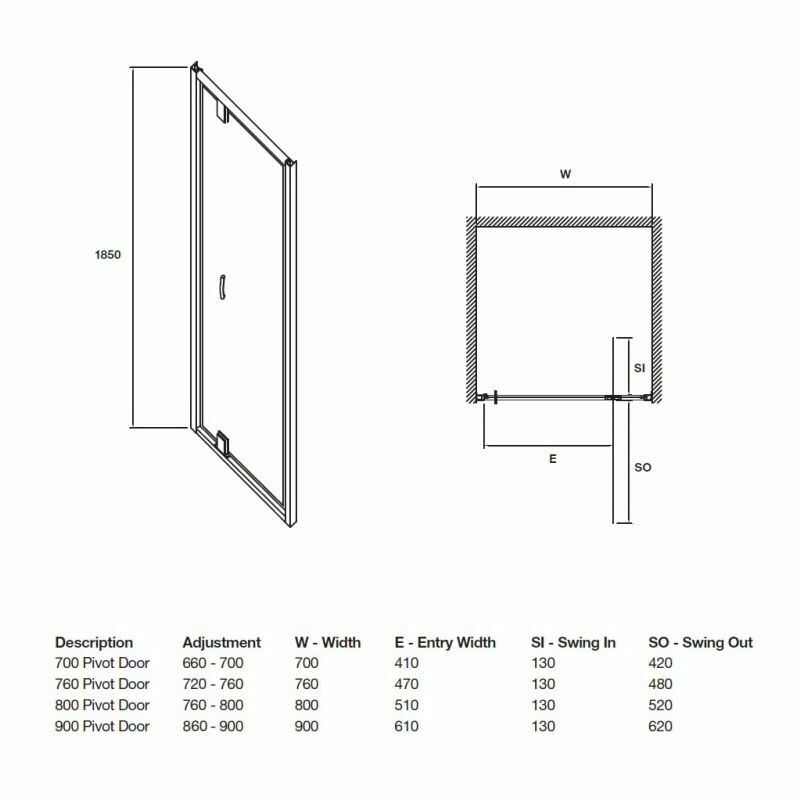 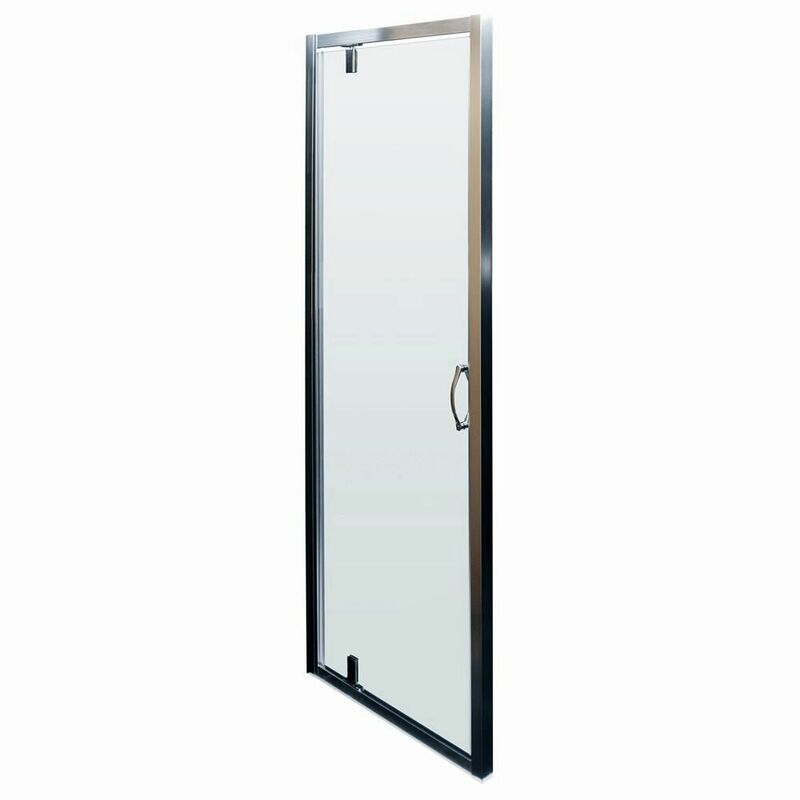 Suitable for fitting into a recess or with an Ella side panel, available to purchase separately, this pivot door has quick release wheels for easier cleaning. 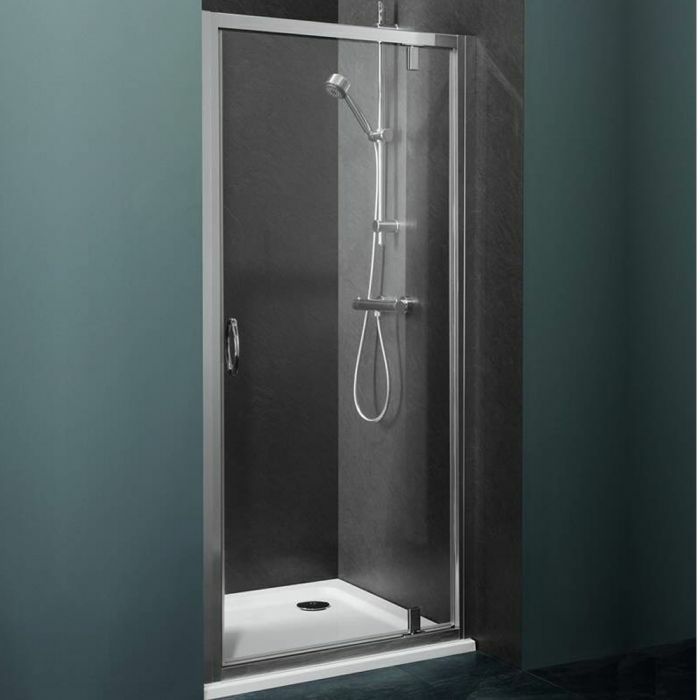 Please note: a shower tray is not included.